Name: The surname was recorded in Ferrara a city in Emilia capital of the province of Ferrara, Spain. Another source traces its origin to Aragon Spain. The frequency in 1990 was about 1:750 in Kentucky and 1:1,000-1,250 in most of the rest of the nation. 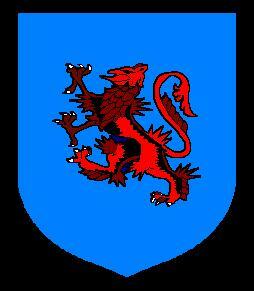 Shield: The shield is blue with a red griffin rampant.